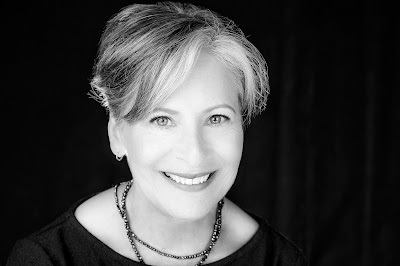 Lynn Lurie is the author of three novels, Corner of the Dead (2008), winner of the Juniper Prize, Quick Kills, which Brian Evenson describes as "filled with quiet menace" and Museum of Stones, which Noy Holland writes "a dreamy, haunting, clamorous book but one of the bravest souls anywhere." Her short fiction has appears in Vol. 1 Brooklyn and Midnight Breakfast. 1 - How did your first book change your life? How does your most recent work compare to your previous? How does it feel different? Do you have any theoretical concerns behind your writing? What kinds of questions are you trying to answer with your work? What do you even think the current questions are? My first book gave me reassurance I could write. This allowed me to work on the second, which, because of the subject matter, was a more difficult project. I might not have attempted the second without the sense that people I respected had praised my work. My fiction circles around a few central questions I have been working and reworking throughout my life: the capacity and depth of human cruelty, the ways in which we manage grief and how we cope with personal failure. While the subject matter may be similar in my novels, each has challenged me to write differently. I am most interested in words. The subject matter is secondary. Fiction makes most sense because I am not relegated to the facts. It allows me great latitude to reconfigure memory in the hope of creating something that is emotionally true but not necessarily factually accurate. It seems to be a five year or more process to write a novel. I need to live with my characters and allow them time to develop. I do not have an outline or an idea of the structure until I am well underway. It is a bit of a mosaic where I am looking for the right spot for a fragment and then a way to link them into something whole. This was especially true of Museum of Stones, where I often was a moving around of index cards. A book, in that I am not good at the pacing requirements of a short story. I like the length of a novella and the idea that the work is best read in one sitting. A story might begin with an image, something I have seen either in life or in a book, or something I have heard, a conversation or parts of conversations. The beginning is something like scaffolding or a nucleus. From there I build the story. 5 - Are public readings part of or counter to your creative process? Are you the sort of writer who enjoys doing readings? What do you see the current role of the writer being in larger culture? Does s/he even have one? What do you think the role of the writer should be? I do enjoy reading my work to others. Listeners tend to see or intuit something in addition to or different from how I think I saw it. The immediacy of the interaction provides me with an opportunity to see how the work is perceived. Etruscan press has a very successful outreach program, which involves bringing books and authors to underserved high schools. I have also been able to work with incarcerated men and women who have, through Etruscan, received my book. These readers are the most diligent. I do not think the writer needs to have a larger purpose, but for me, attempting to bring reading and literature to groups who have never owned a book is an honor. An outside editor I trust is essential. I am not a generous writer in that I want to provide the minimum of information and my hope is it is enough for the reader to become a part of the story. This requires the writing to be precise, almost exact. A close reader/editor gives me confidence that I am conveying what I intend. The process of writing is a solo venture, and I am a hermit so it helps a great deal to circulate pieces of my writing as it is evolving. 7. When your writing gets stalled, where do you turn or return for (for lack of a better word) inspiration? When stalled I will read go out into the world and listen to regular conversations on the street, or go to a museum. The books I read when I am stuck vary although I think it is fair to say that I gravitate to writing for its style rather than its content. The other day I wandered into a gallery and the installation was a film in black and white of two pairs of hands creating a scene from tin foil. This led me to remember a story I had heard read about a waiter in a restaurant who made a foil dinosaur for a child’s leftovers. In the story he kept going back to the kitchen to make more and different forms. In the end he created for the child an entire universe. On the day I sat in the gallery foil took me in an entirely new direction—it seemed to represent our craving to communicate, to transcend the usual, and in doing so it allows us to witness, if not implement, incremental change. 8. What fragrance reminds you of home? Eucalyptus. I lived in rural highland Ecuador for a number of years and every evening and morning there was the smell of the villagers burning Eucalyptus branches for their cook fires. I will never smell Eucalyptus without feeling I am walking down the path to the barn where I once lived. Even in the daytime when no fires were burning the wind passing through the Eucalyptus trees created the scent of Eucalyptus. Although Ecuador was never formally home, it is the place where I learned what links all of us. 9. If you could pick any other occupation to attempt, what would it be? Or, alternately, what do you think you would have ended up doing had you not been a writer? What made you write? I have had a lot of different occupations in my life. They all add up to a whole. Each occupation has been important to my writing. I am grateful to have done other things. Writing is so personal and often harrowing. I didn’t begin as a writer but came to it because I needed to make sense of things that had suddenly overtaken me. I was working as a lawyer and when I found myself writing briefs with descriptions and emotions I knew it was a sign I needed to write about something that was far more important to me at that moment in time. 10. What was the last great book you read? In Our Mad and Furious Cityby Guy Gunaratne is on the list. Lately there is a group of books by respected authors who have attempted to describe the immigrant experience. He goes to the heart of the grief of the immigrant experience and through his use of dialect he brings us along. His placement of words, his sentences are breathtaking. David Chariandy’s Brother is very beautiful as if all of Miriam Toews’ work. Currently I am reading. I haven’t felt the need to write. 12. David McFadden once said that books come from books but are there any other forms that influence your work? I began as a black and white photographer. All visual arts remain a source of influence for me but it is language that most moves me. Translating has also been something that has made me linger over each word and meaning. Music less so, but the speaking of voices, hearing conversations, the cadences of conversation are something I listen to and appreciate. 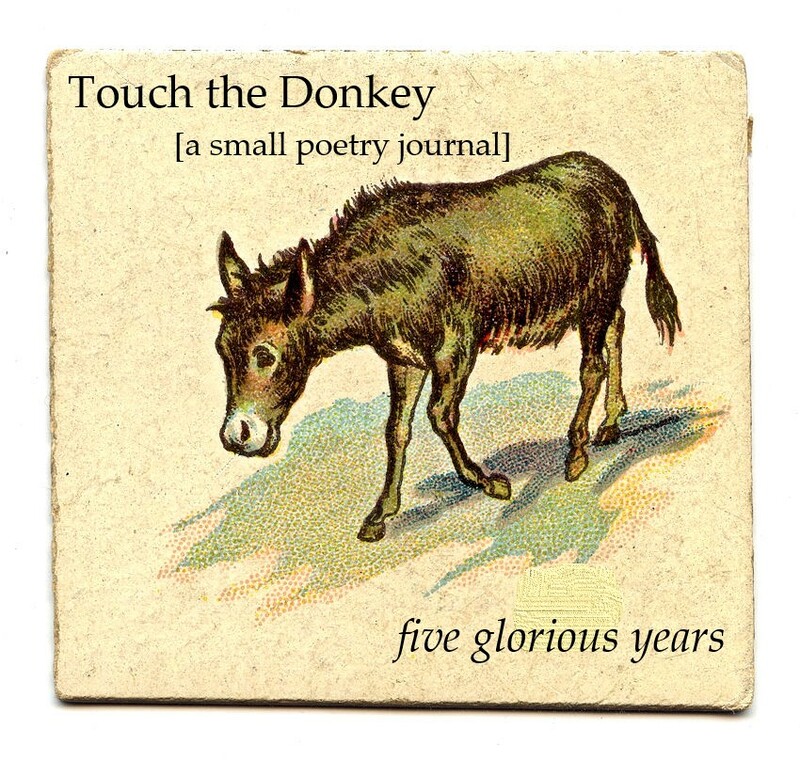 To celebrate the fifth anniversary of the quarterly Touch the Donkey [a small poetry journal] this April: anyone who subscribes (or resubscribes) anytime until the end of April 2019 has the bonus option of three (3) items: three Touch the Donkey back issues of your choice, OR three above/ground press (2018 or 2019) titles of your choice (while supplies last) OR any combination thereof. choice to either give in, or not give in. only person who sundered before giving in. passed through. Or once it has passed through me. being physical. I value the possibility of an end being physical. I value the physical because when it ends I can’t follow. 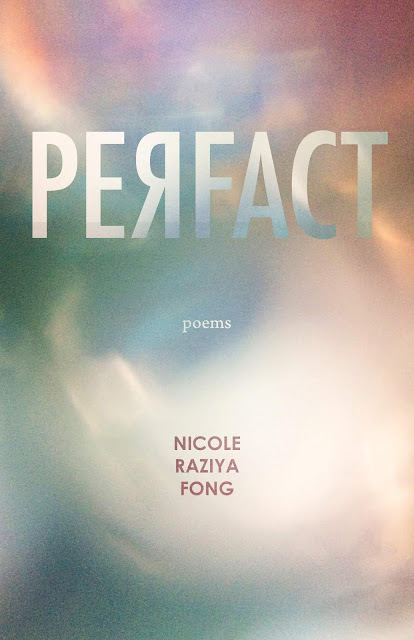 Montreal-based poet Nicole Raziya Fong’s debut full-length poetry title is PEЯFACT (Vancouver BC: Talonbooks, 2019), “a three-part series of poems interrogating the nature of experience, language, trauma, and identity.” Fong writes on being in, of and beyond the body, seeking a centre from which to find ground. “To desire,” she writes, in the title section, “is to sustain a way of living. I desire to sustain a / living whose ends are my own.” The prose poem sequences of the title section, that opens the collection, are composed out of a lyric, rhythmic breath of sentences, one that compels the ear to listen as much as the sound of it soothes. And yet, Fong’s text (throughout the collection, as well as specifically within this poem/section) moves through both the thinking and physical body, between the self and the other, between contemplation and action—occasionally paired, linked, impossibly joined and impossibly separate—writing into the periphery, exploring the between-ness of possibility. imprint demarcating the remembered from the real. I graze the surface of life. Life is endured, not experienced. daylight, rain – protective at a distance, but not absolute. For a while the possible was at hand. […] is an attempt to enclose or lay bare trauma. Exchanges occur. These exchanges are sensorial, imagined, real. Each leaves a binding mark upon the subject. When one speaks, giving voice to the unspeakable, the mind undergoes change, the boundaries between inner and outer fragmenting before seeking a return to resemblance. The choices made in the text are meant (however imperfectly) to indicate this indeterminate porosity. Ron MacLean is author of the novels Headlong and Blue Winnetka Skies, and the story collection Why the Long Face?. His fiction has appeared in GQ, Narrative, Fiction International, Best Online Fiction, and elsewhere. A story collection, WE MIGHT AS WELL LIGHT SOMETHING ON FIRE, is forthcoming Spring 2019. 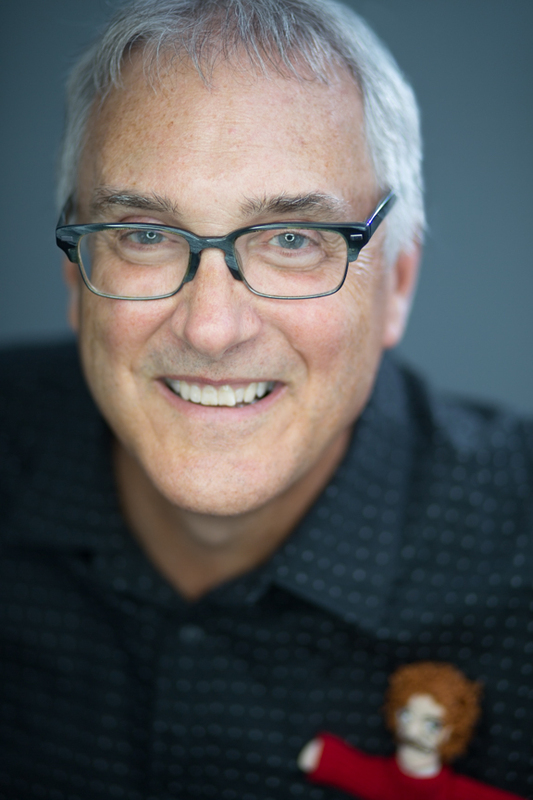 MacLean is a recipient of the Frederick Exley Award for Short Fiction and a multiple Pushcart Prize nominee. He holds a Doctor of Arts from the University at Albany, SUNY, and teaches at Grub Street in Boston. Learn more at www.ronmaclean.net. It was a total rush to have a book out. Crazy exciting. I felt kind of on top of the world. And I felt humbled, knowing how hard it is to get a book out, especially one that’s a little off-center in its approach and execution (it was a postmodern cowboy-movie novel). Each book feels different – that’s part of what I’m about, is to expand my reach, explore different subjects, themes, and forms. HEADLONG feels different in that it’s the most straightforward book I’ve written, or probably ever will write. I set out to write a classic crime novel, and while I ended up with more of a literary thriller, it’s still a book driven by a pretty relentless plot. My favorite feedback I’ve heard is from several people who read it in one sitting because they couldn’t put it down. I’m laughing out loud at the last part of that question. First drafts bear little if any resemblance to their final shape. It’s a circuitous process for me, and a time-consuming one. My novels have taken 7 and 5 years to produce, from conception (idea) to delivery (publication). With HEADLONG, I took an entire draft – maybe fourth draft – and literally threw the whole thing in the wastebasket, because I’d taken a foundational narrative turn that ended up being completely wrong-headed. So I just try to be patient with each project, and put in the time, trusting that at some point, something worthwhile will come out the other end. Sometimes the idea comes quickly. The writing of it, and bringing a story to fruition, never does. It depends on the project. With HEADLONG, I was working on a book from the beginning. I knew I wanted to write a crime novel, and I knew the situation I wanted to depict – a citywide labor strike, political protest movement, and how it touched the lives of three people, including an activist teen – was a large-scale idea. Always, though, it begins with one small bit that grabs my attention. In the case of Headlong, it was a short item I read in a local newspaper about $14,000 cash being stolen in a house robbery in the middle of a summer afternoon. I LOVE doing readings. In part, I’m a ham and I love the spotlight. Mostly, I love to meet readers, and to be able to see people react to the work. Usually, we writers don’t get to see readers’ reactions. Not so much theoretical concerns (other than string theory and the logic of abstract physics), but I’m always revolving around the question of what does it mean to be a human in this world, with all the glories and faults that go with it. For the last couple of years, I have also been asking – and trying to write into an answer for – how do I write on a larger canvas? One that incorporates the larger social and political forces – power structures – that impact all our lives. I think our job as writers is to be explorers of the human condition. Advance scouts who seek to understand where we are and where we’re going, and to report back what we see. Hah. Definitely essential. I’ve been lucky, so it has rarely been difficult. Mostly, the editors I’ve worked with are starting from a place where they like the work, and respect me as its creator, and want to collaborate with me to make it better. They offer suggestions. I try to be open to those suggestions. Usually, they’ve improved my work. I always appreciate their time and attention on it. A couple times, for short stories that were taken by magazines, we’ve had disagreements and I’ve chosen to capitulate to something I didn’t like. Then I’ve gone back and done it my way when it comes to the book version. Easy. “Make opportunities for each other.” Judy Johnson, one of my grad school professors. From day one, she encouraged us to think in terms of community, in terms of how we can work with and help each other. I’ve tried to live that ever since. For me, it’s so important in a vocation that’s mostly solitary, to make a concerted effort to get outside myself and be an active (giving) part of a community. 10 - How easy has it been for you to move between genres (novels to short stories)? What do you see as the appeal? To me, novels and short stories are very different animals. So different. And it always takes me a while to shift gears. A good story, even one that feels leisurely, requires such compression, that it’s a completely different rhythm and mindset. That said, I love moving between them. It’s not easy for me, but the appeal is powerful: time spent in the one brings me back with fresh energy and perspective to the other. I have a loose routine. My best practice is to write two hours a day, five or six days a week. When I’m in a good groove, that’s what I’m doing. Consistency with that allows lots of progress – it’s amazing how much work you can get done in a year with that kind of commitment. I like that time frame because it’s realistic for my life, and it allows my brain to percolate in the background on what I’ve done, which almost always yields an interesting start for the next day. Friends. My writing group. I’ll whine to them, and they will either a) write or call with sympathetic encouragement or b) mock me and tell me to buck up. Either one tends to work. I will also often pull a favorite book from the shelf and just immerse myself in a story I love until I get over myself, which takes less long as I get older. I think the fear of death keeps me from getting stalled out much. Beef, slow-roasting. Is that bad? Um, all of the above. I’m a huge music fan, and it always inspires me. For a long time, every short story I wrote had a “theme song,” one I’d listen to again and again as I was writing the story. And a story that will be in my new collection, about a blind rabbit escape artist trained by Houdini, also has a character who’s a butcher who’s retired from theoretical physics. So there’s a lot of string theory in that one. Jeanette Winterson, Donald Barthelme, Gertrude Stein, for sure. Dostoyevsky. Aimee Bender. Flannery O’Connor. I read her collection of essays, Mystery and Manners, about every two years. Climb Half-Dome at Yosemite National Park. I would LOVE to play power forward for the Boston Celtics. I’m small, but stalwart and fierce. Can you get me a tryout? I would probably have stayed in journalism, with a focus on investigative journalism. I admire the hell out of the profession, and I enjoyed it, and I think it’s important work. I’ve got a pretty high bar for great. I won’t call a book great until I’ve read it at least twice. So I’d have to say Jenny Offill’s Department of Speculation. Similarly with movies, in terms of multiple viewings before I’ll call them great. I’m gonna cheat and say two: Boyhood, and a classic Russian film I saw again recently in a new 70mm print, Andrei Rublev. Helping the publisher with marketing my new story collection, WE MIGHT AS WELL LIGHT SOMETHING ON FIRE, that comes out June 5, 2019 from Braddock Avenue Books. And collaborating on a trilogy of psychological horror novellas with a writer pal.